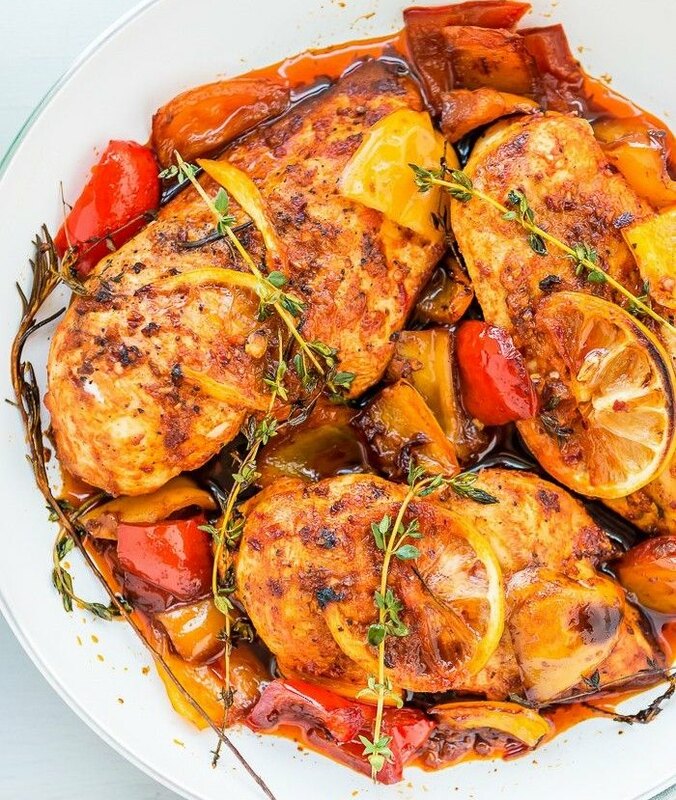 Peri-Peri chicken is really easy to make at home and you can vary the heat according to how hot you like your food. This recipe gives a medium heat so up the chillies if you want to feel the burn or reduce them and remove the seeds if you just want a gentle glow of warmth. Use drumsticks, wings, thighs, breasts or even a whole chicken (All available at Spice Meat Shop, Scott Road, Surrey), whatever takes your fancy. Coat the chicken generously in the chilli mixture and leave to marinade for the flavour to penetrate, it doesn’t have to be for long, even 10 mins will help. As a general rule the smaller the chilli the hotter it will be, so don’t be tempted to use more if they’re small. Place the chillies, garlic, oregano, paprika, oil, vinegar and lemon juice in a blender or food processor and blend to make a paste. Season with salt and freshly ground pepper. Place the chicken drumsticks in a non-metallic dish and coat in the chilli paste, cut a few slashes across the chicken if you like to allow the flavour to penetrate more. 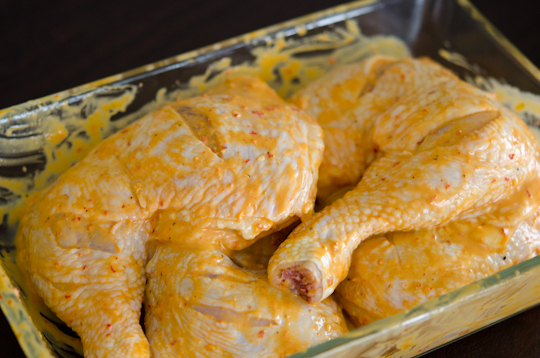 Leave to marinate from 10 mins to 2 hours (in the fridge). Preheat the oven to 190°C/350°F/Fan 170°C/Gas Mark 5. 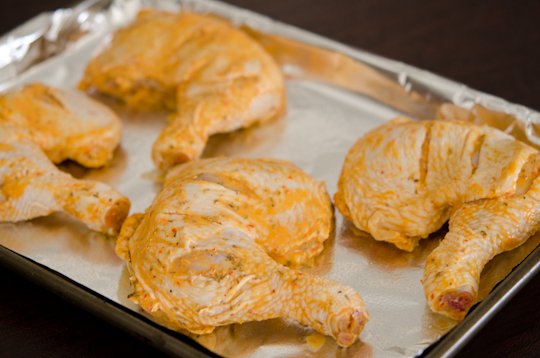 Transfer the chicken to a foil-lined baking tin and cook in the oven for 35-40 mins until completely cooked through.